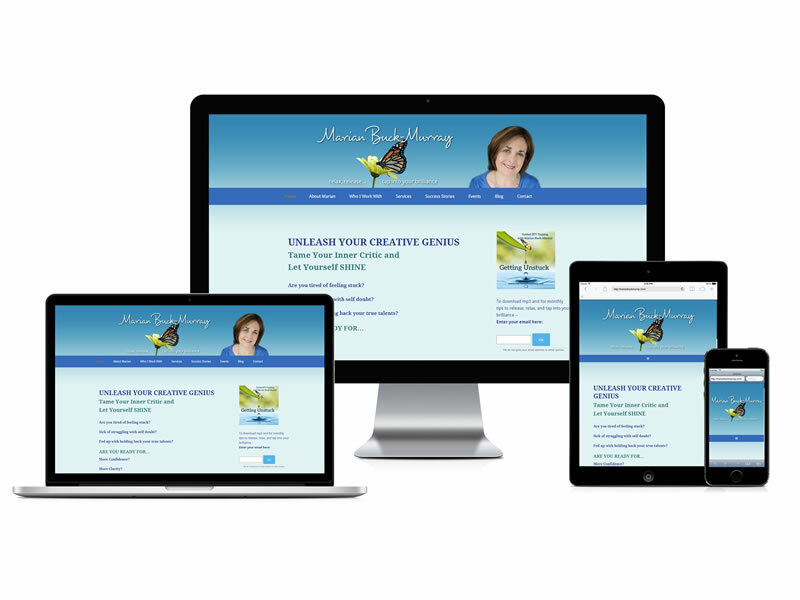 Marian needed a site that’s easier to navigate. It needed to provide easy access to blog, services, events & contact info. 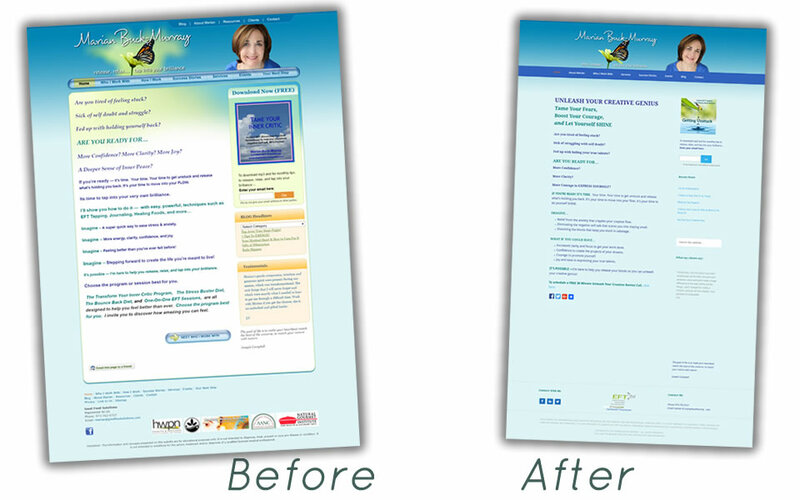 She felt like her current website was “a bit heavy & clunky, and I want it to feel fresh, easy, simple”. She wanted to increase her overall visibility & presence on the internet so that she could share her messages of self-love and compassion.